The Medicare Hospital Readmissions Reduction Program (HRRP), established with the Affordable Care Act, began reducing payments in 2012 to Medicare-participating hospitals with higher than expected readmission rates for the targeted conditions of heart failure (HF), acute myocardial infarction (AMI), and pneumonia (PN). 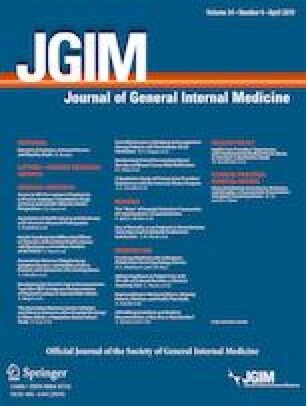 The readmission ratio calculations were adjusted for clinically relevant factors1 and by excluding admissions ending in an against medical advice (AMA) discharge, when a patient leaves the hospital prior to a physician-recommended endpoint. Although the HRRP has reduced readmissions overall,2 there remains the possibility of unintended negative consequences. Given that an AMA discharge designation under the HRRP may have positive financial implications for the hospital, we sought to identify if the HRRP was associated with a change in AMA discharges. The views expressed in this article are those of the authors and do not necessarily reflect the position or policy of the US Department of Veterans Affairs or the VA National Center for Ethics in Health Care. Centers for Medicare & Medicaid Services - Readmissions Reduction Program (HRRP). https://www.cms.gov/medicare/medicare-fee-for-service-payment/acuteinpatientpps/readmissions-reduction-program.html. Accessed October 3, 2018. HCUPnet, Healthcare Cost and Utilization Project. Agency for Healthcare Research and Quality, Rockville, MD. https://hcupnet.ahrq.gov/. Accessed October 3, 2018. Maryland All-Payer Model Agreement. http://www.hscrc.state.md.us/documents/md-maphs/stkh/MD-All-Payer-Model-Agreement-%28executed%29.pdf. Accessed October 3, 2018.